We commend the family who accidentally ignited the fire for taking the courage and responsibility for publically apologizing for their actions. 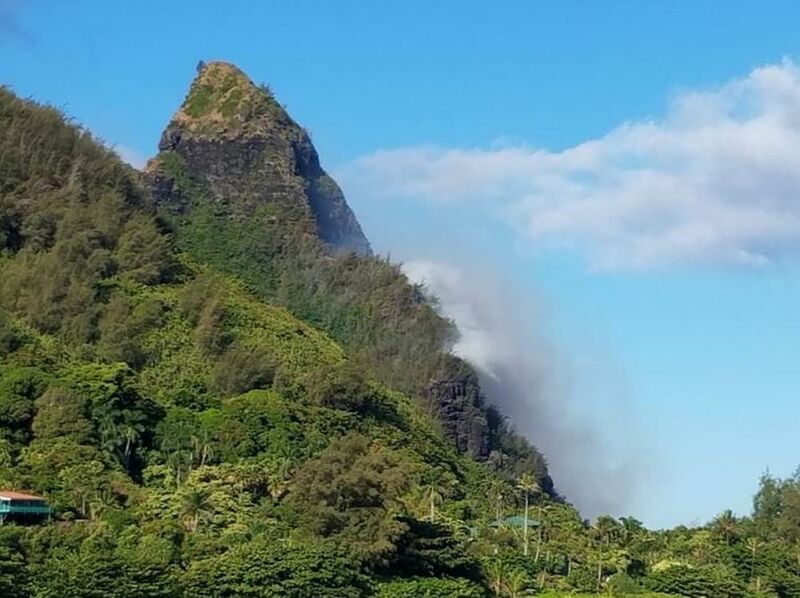 We deeply respect that reviving ancient cultural practices is important, but it is still critical to be aware of your surroundings and dry/windy conditions whether building an imu or practicing ʻOahi O Makana. Vegetation and climate conditions have changed drastically over the centuries (even more so in the past few decades). Many wet forests were once ecosystems covered with native forests that had very few wildfire occurrences if any. However, much of these forests have been taken over by much more fire-prone, invasive species and have experienced more and more days of drier conditions than before. We must continue to adapt to these changing conditions whether it is through vegetation control methods or cultural practices, etc. This fire will hopefully continue these important conversations. We are interested to hear your thoughts. Please share your comments below. "'It wasn't an intention to start anything to hurt anybody or to stop any roads. There was never that intention. If that happened on behalf of the family we apologize,' McCarthy said. Ancient Hawaiians held the ceremony to mark great occasions and special ceremonies. 'This is something they mentally, physically have to prepare themselves for,' McCarthy said. The pair carried Hau branches to light, twirl and throw. McCarthy thinks wind grabbed the embers and blew them back onto the mountain."